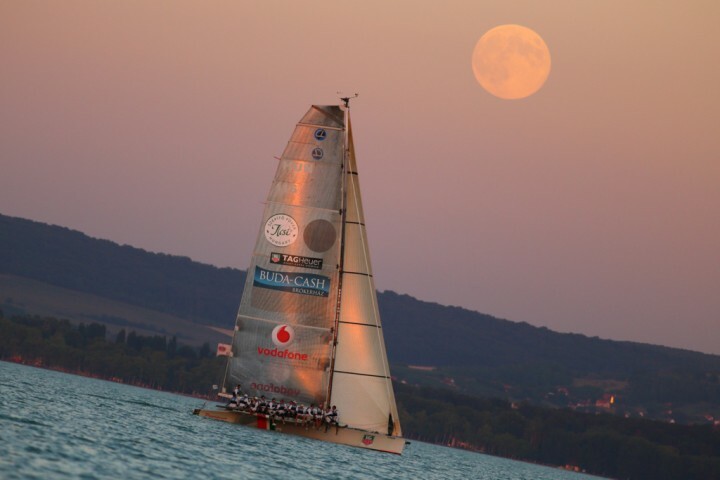 ORACLE TEAM USA and EMIRATES TEAM NEW ZEALAND during the first race of the 34th Americas's Cup Finals. This picture was taken right after the start, shortly before both yachts rounded the first mark. 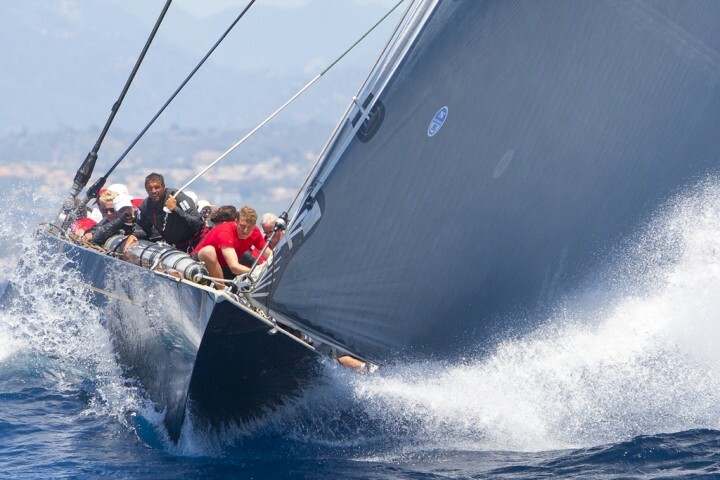 It shows one of the rarest set-ups during the races: Both boats fly very close and parallel to each other at a speed of 40 knots, trying to reach the Mark 1 first. NZL sails the windward side and USA has the right of way. Just a second before, USA protested against NZL, because skipper Dean Barker didn't get out of way sufficiently. USA's skipper Jimmy Spithill and his tactician John Kostecki yell their commands across their boat. Both crews are heading towards each other. 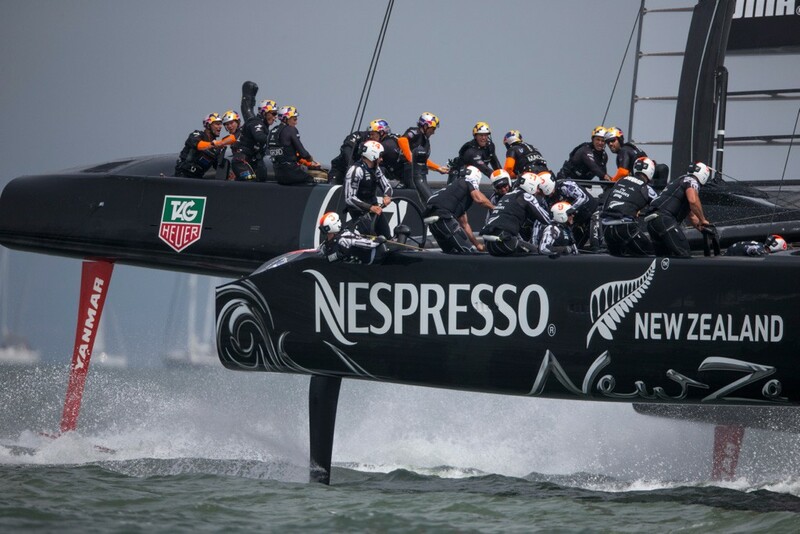 NZL won the first final race and started their winning streak during the 34th America's Cup Finals. ORACLE TEAM USA defended the Cup after overcoming a 8-1 point disadvantage.